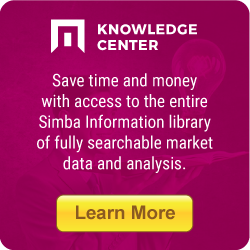 Welcome to Simba Information's featured markets page. Here you'll find updated coverage of markets that Simba is following. These pages bring together our market research reports, blog posts, press releases, multimedia & more to provide clients with easily navigable content. Stay tuned for more content to be published in the near future.